National Book Award, Nonfiction, 2010It was the summer Coltrane died, the summer of love and riots, and the summer when a chance encounter in Brooklyn led two young people on a path of art, devotion, and initiation. Patti Smith would evolve as a poet and performer, and Robert Mapplethorpe would direct his highly provocative style toward photography. Bound in innocence and enthusiasm, they traversed the city from Coney Island to 42nd Street, and eventually to the celebrated round table of Max's Kansas City, where the Andy Warhol contingent held court. In 1969, the pair set up camp at the Hotel Chelsea and soon entered a community of the famous and infamous - the influential artists of the day and the colorful fringe. It was a time of heightened awareness, when the worlds of poetry, rock and roll, art, and sexual politics were colliding and exploding. In this milieu, two kids made a pact to take care of each other. Scrappy, romantic, committed to create, and fueled by their mutual dreams and drives, they would prod and provide for one another during the hungry years. 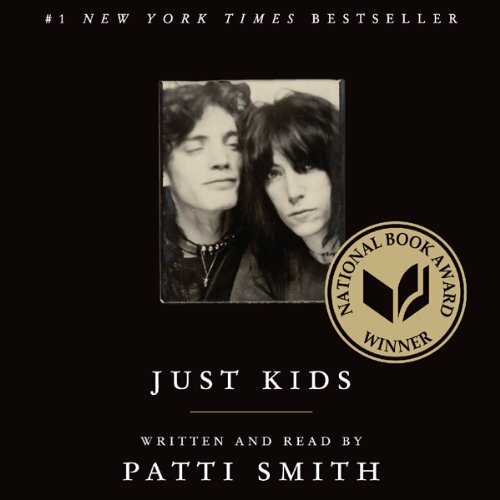 Just Kids begins as a love story and ends as an elegy. It serves as a salute to New York City during the late 60s and 70s and to its rich and poor, its hustlers and hellions. A true fable, it is a portrait of two young artists' ascent, a prelude to fame.